Markus Jooste – On losing bids, building Steinhoff and drawing inspiration. 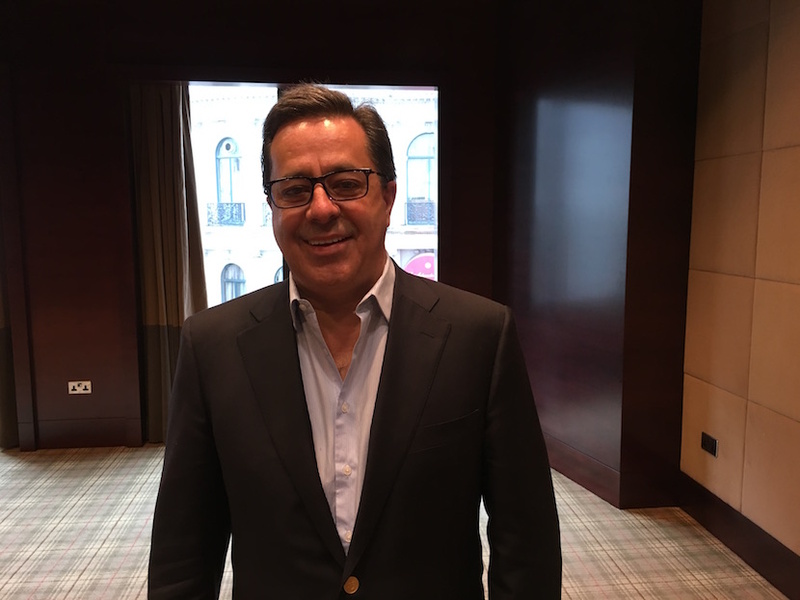 Steinhoff CEO Markus Jooste – caught in London during one of his regular visits to the UK capital. Did you have these ambitions when, in your 20s, you were already the Financial Director of a listed furniturre manufacturer? No, so say so would be lying. With a lot of these things, you can’t say you planned it. I was 27 when becoming the FD of GommaGomma where my path crossed with Claas Daun. That was in 1992 and my life changed because Claas invested in us. Then as the business grew, he introduced me to Bruno Steinhoff and our story evolved. Obviously the dream was to become successful but how, what size, and what dimension – I had no idea at all. I’m not sure and I never compare. I just think you’ve got to have a lot of passion and drive. In a way, I was very lucky that I was very hungry. I came out of university with R100 000 of study debt – but with a Chartered Accountant qualification. After that, the money part of it got lost a long time ago for me. It’s the excitement the people. To be in a business where ten of the other execs are your best friends that is unique – then to have had the class of directors like Bruno Steinhoff, Jannie Mouton, Christo Wiese…Again, when I started my articles in 1982 the first office I walked into on my first day was owned by Christo Wiese. I always said that with everything in life the path is there for you…. You’re 100% right – both the companies’ market cap was probably double Steinhoff’s market cap ten years ago. With Christo, the Pep/Steinhoff merger put us in a different league from a balance sheet and a capital perspective. We more than doubled the market cap of the company with that transaction. We live in a world today where size and financial strength is very important factor. The more money you have; the more money they want to give to you so your access to capital becomes cheaper. Our mandate from the Wiese and Steinhoff families as long-term investors is to grow the business. There was a bit of a feeling out there that we would acquire anything at any price. That’s never been the Steinhoff way. I’ve walked away from more deals in my life than I’ve done but because they were all private nobody knew about them. Those bids (for Home Retail and Darty) got lots of attention because they involved companies listed on the London Stock Exchange and it was all very public. If you go to an auction and you want to buy a painting or a horse, you must have a price and if bidding reaches that price, you must have the discipline to walk away. That’s what we did with those two deals. On Tuesday in Zurich at the board meeting, I said to the board that it’s a strange feeling for me: I’m not a good loser and these are two deals we’ve lost. But because of our discipline, I’ve gotten the most compliments for walking away than for deals we actually concluded. We has about 21% of Darty. At the Fnac bid price, after cost-in we’ll probably make a profit of €40m. That’s why there aren’t too many tears at Steinhoff. But I don’t like failure – it would still have been better for me to own the business because it was a good fit. Darty is one of the most recognised brands in France and our team had a great plans of how to work together with them. I’ve congratulated Fnac. I think they’ve bought an excellent business and I wish them well. Argos is a phenomenal brand. Its footprint throughout the UK is something that would take you 30 years to build. Its a company does over £4bn turnover which shows you how strong the brand is. They have taken a traditional mail-order company onto a digital platform but with 1000 stores for click-and-collect and for service. That is a perfect retailing model for the future. Obviously, Sainsbury saw the same opportunity and again, we had to see what the value was to us and they bid higher. You’ve made a big impact in Europe in a short time. For instance, when the German giant Metro spun off Media Markt and Saturn, you were immediately tagged in the media as as a possible buyer. Those create new expectations…. Firstly, we’ve got a worldwide Exco which includes the CEO of every country. We meet religiously once a month. Christo Wiese and Bruno Steinhoff join us as well. We’ve got a fixed date on a specific Thursday of that month starting from two o’clock until whatever time – sometimes very late at night. How long the meeting lasts depends on what’s on the table. Every potential corporate transaction after it has passed the operational report stage is on the agenda. That’s where they are discussed. For instance, if there were interest in the Metro spinoff our German CEO would look into it first, and bring if his board think it’s good for their operation, they will then refer it to this monthly Exco meeting. Then the M&A team in Stellenbosch and Cheltenham will go look, conduct the Due Diligence and submit the report which then gets discussed at the monthly meeting and either approved or disapproved. It’s a very sophisticated system. Every CEO around the world on that video conference that day gets a chance to say what he thinks – it’s a fantastic forum of highly qualified, very diverse operational people. Add in Christo’s deal-making capabilities and it’s like a bank’s credit committee. It’s not the Markus Jooste show as the media might sometimes suggest. We listed the company on the Johannesburg Stock Exchange in September 1998. In the week of our listing the Emerging Market crisis hit – it was a very, very tough time. SA Breweries wanted to dispose of its whole furniture manufacturing division, Afcol as they called it in those days. We were at the table. At that stage, Claas Dawn was my main partner and supporter and we were bidding against another recently listed company, Pat Cornick, supported by Brait (funnily enough now owned by Christo Wiese). The bidding reached R17 a share and they went R17.50. Claas said that’s too much and we walked away. Twelve months later, after the crash, we bought the company for just R3.80 a share. That bit of luck made us a powerhouse in South Africa, it triggered the escalation of Steinhoff. Those were my game changers: meeting Claas; buying Bruno Steinhoff’s business; buying Afcol/Cornick in ’99; making the move into retail with Homestyle here in the UK as the first one, then Freedom in Australia. And the big European game changer through the acquisition of Conforama in France. That was in 2011 when the world was on its knees, money was a problem, trading was tough and at that stage, €1.2bn was an enormous amount of money for Steinhoff. We worked out way through the numbers are borrowed the money – it put us into a different league. Then of course, in 2015 the same happened with the merger with Christo Wiese’s Pepkor, another That game changer. Those were Steinhoff’s pillar transactions, the ones you need to build a business this size. My father was a punter. He worked for the Post Office in Pretoria in Bosman Street. The office where he worked at the Post Office has a Tattersalls was right next door. On Saturdays, as a young boy, I went with him but the experience was totally different in those days. You listened to the commentary via radio. at the age of 12, I was what you call a runner – the guy who ran with between bookmakers with tickets laying off their bets with each other. With that background, my interest in the sport was stimulated – but seeing it up close didn’t create a nice feeling towards the betting side. My dream was follow people I looked up to in that part of my life, the racehorse owners like Harry Oppenheimer Laurie Jaffee and so on. If you’re not a racing person, it’s hard to understand. It’s like your child at six years old winning the 50 metres at primary school. That happens often with horseracing and the dream continues. I’m very fortunate that today, I have racehorses all over the world and a wonderful partnership with John Magnier of Coolmore now where they’ve allowed my racing partner Bernard Kantor and I into their fascinating world. To be able to race in England, in France, and all over the world is a whole new experience. So now the dreams become much bigger – to one day, have a Derby or an Arc winner. Racing is also my my relaxation outside of my day job. If I come into a hotel room at 11 at night, fire up my iPad and watch my horses racing all over the world. That’s when I relax. I don’t go to the races themselves often enough but that will come in later years. Steinhoff taught me you must try retain the leakage of margin in all the categories of the chain. As Ikea was the driver for me to build Steinhoff but slightly differently, Coolmore is the role model on the racing side. It’s such an unbelievable what John has done there…he has it right down to producing their own food, vets, hospital, farms, and even their own trainer. Aidan O’Brien only trains Coolmore horses. For anybody in the thoroughbred game, a visit to Coolmore is a must. You’ve come a long way from those Pretoria…with your father working for the Post Office presumably there wasn’t plenty of money around those days? Not at all. I was lucky, I did very well at school so got a bursary from Stellenbosch University to study there. In those days, you student loans were normal, but the debt adds up if you spend your time at university. I think that started it all. There was no time – like we see today- for children to travel the world for 12 months before they start studying or working. I could only afford three years at Stellenbosch and when I got my Accountancy degree, started my Articles the next year and I studied at night at UCT for my Honours. It was a different world but you had to do it that way. There was not time or money to waste. It was just a different time, but a very lucky time for all of us. Markus Jooste is the Chief Executive of Steinhoff.